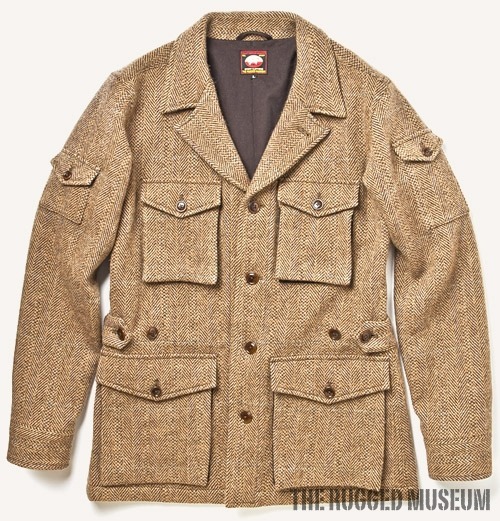 Is a wool tweed Safari jacket an oxymoron? Discussion in 'Classic Menswear' started by Staxxx1, Nov 4, 2018. If not, if you have some nice examples please would you post pictures....especially herringbone. Just becomes more of a field jacket than something you wear inside IMO. Although if you wanted to, I'm sure you could find a lightweight wool fabric that looks like tweed if you wanted to do that. This is encouraging. ... I will post pictures of one that I am wanting to have made up. It will take all of six weeks though. Went with a slouchy fit, and since replaced the buttons with black ones. OH that one is excellent! I really do like this style, although I am rather big in the chest. Do you have any idea of the ideal fabric weight to use for such a jacket as yours? I should add that I used an OTR jacket as a base for fit. I don't unfortunately. I asked my local tailor who made the jacket for a thicker linen that would drape a bit better. I think an equivalent weight in wool might not work the same way. @dieworkwear might be able to give some advice. I'd go for something around 14 - 16oz, personally. Without any internal construction, something lighter than 14oz will drape more like a light shirt jacket. I still think this sort of stuff is better off the rack though. This. Tailors don't have the machines to construct rugged styles properly. There are so many RTW brands that do this type of thing really, really well. My problem is small shoulders (18 ") and a biggish chest (43"). Who makes tailored jackets for people like me??? I dont know, but that sounds like a standard L or XL. I don't think casual clothes have to fit perfectly. They actually look a bit awkward when they're overly tailored. I would just try on different RTW offerings and see what looks good on you. Perhaps will try and buy a 44 Doyle if one comes up on BST. Have you looked at Eidos Ragosta styles? They’re cool and the main guy has just launched a great new line, 81 West. Thank you for the tip.. will check them out. I have to agree for being a huge fan of safari/field/hunting jackets and wearing them on a daily basis. Chest pockets make huge difference here, IMO they just play too much on top of dashing tweeds rich in colours/patterns. 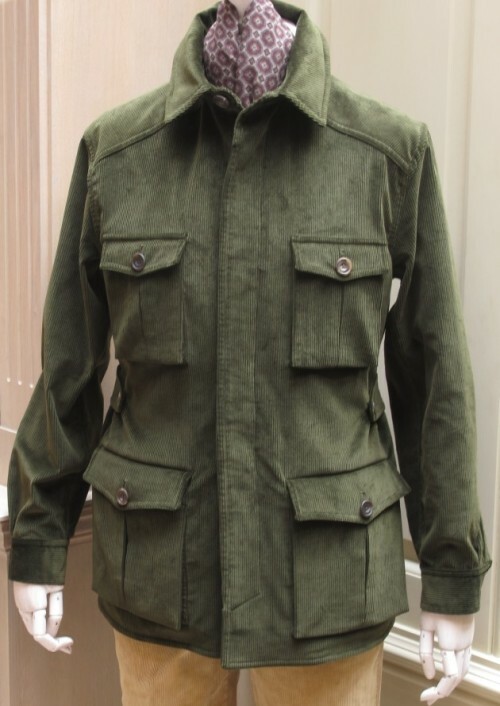 Safari/field is great with light, flexible and plain materials such as linen/cotton/wax cotton/corduroy/suede/technical synthetics, while tweed is more suited for hunting/norfolk. So are you saying avoid the top pockets if I can?